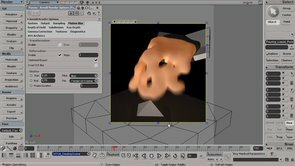 emTools v.1.84 - "Toolz in the House"
starting at 01:21 > "Understanding deformation motion blur". starting at 02:45 > "Non-changing topology". starting at 04:18 > "Changing topology and motion blur problems". starting at 08:18 > "emPolygonizer4 topology". 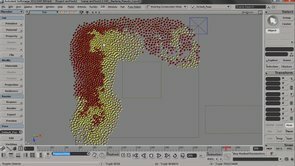 starting at 09:53 > "Mental Ray: How to mesh a simulated emPolygonizer4 mesh with motion blur". starting at 12:30 > "Mental Ray: Some problems with simulated meshes and motion blur". 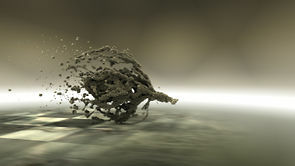 starting at 13:52 > "Mental Ray: How to render rock-solid motion blur using cached geometry". 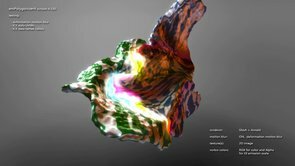 starting at 16:58 > "SItoA + Arnold: how to render emPolygonizer4 meshes with motion blur". starting at 20:13 > "What else is new in this update?". starting at 22:26 > "Support of emBatch licensing". starting at 23:28 > "The 'ICE Data Generator' compound". starting at 25:04 > "Bye Bye". 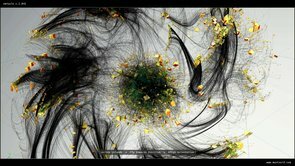 emPolygonizer4 v.4.16 - "Proof of Concept"
emFlock2 v.2.3 (alpha) - "Evolution"